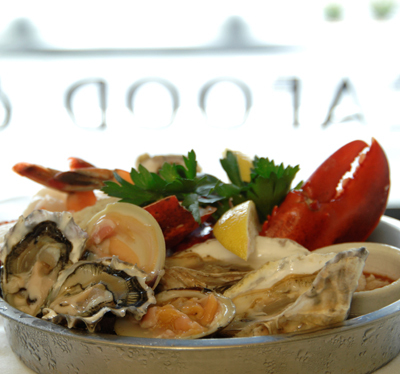 Named "Best San Francisco Seafood"
Serving delicious, fresh, and tastefully prepared seafood, Café Maritime brings together East Coast traditions and West Coast style. A wonderful choice for an intimate meal, a casual get together or a group celebration. Open for dinner nightly from 5:30pm to 1 a.m.
Café Maritime is a proud partner in the Seafood Watch campaign - supporting sustainable fishing and aquaculture operations. Visit Maritime East in Berkeley. Different Menu, same commitment to fresh, sustainable seafood.